8 Ft. 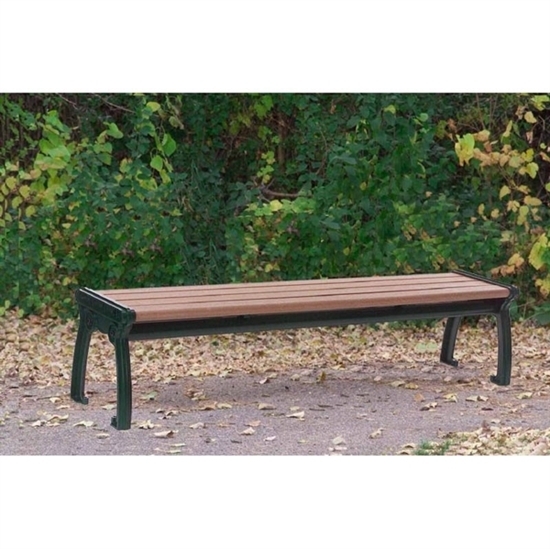 Recycled Plastic Bench without Back and Steel Frame, Surface Mount / Portable, 132 lbs. This 8 foot bench is made with 2″ x 4″ recycled plastic slats and polyester coated steel frame with a truss support system for stability. Features a portable frame with surface mount holes for resistance to vandalism. 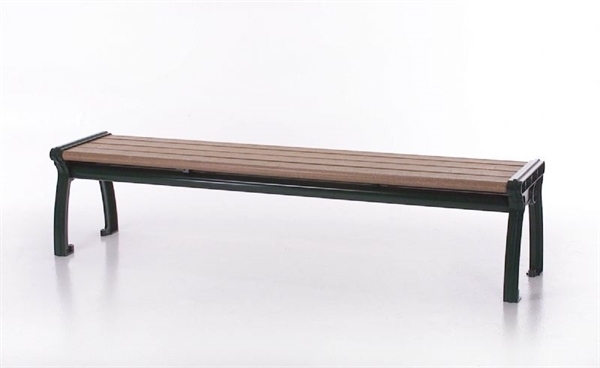 Recycled plastic benches do not splinter and need no repainting. We offer a variety of recycled plastic site amenities such as trash cans and picnic tables to complement this perfect low maintenance bench! 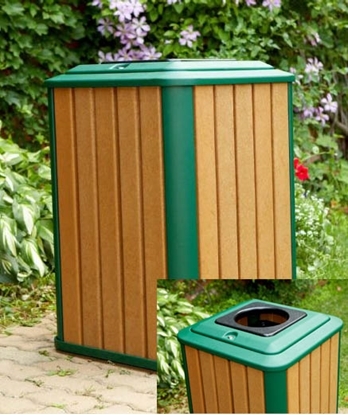 32 Gallon Recycled Plastic Trash Can Receptacle, 185 lbs. Rectangular 8 Ft. Recycled Plastic Picnic Table with Steel Frame, Inground / Surface Mount, 658 lbs.